Olympic national park is ideal for romantic adventures. 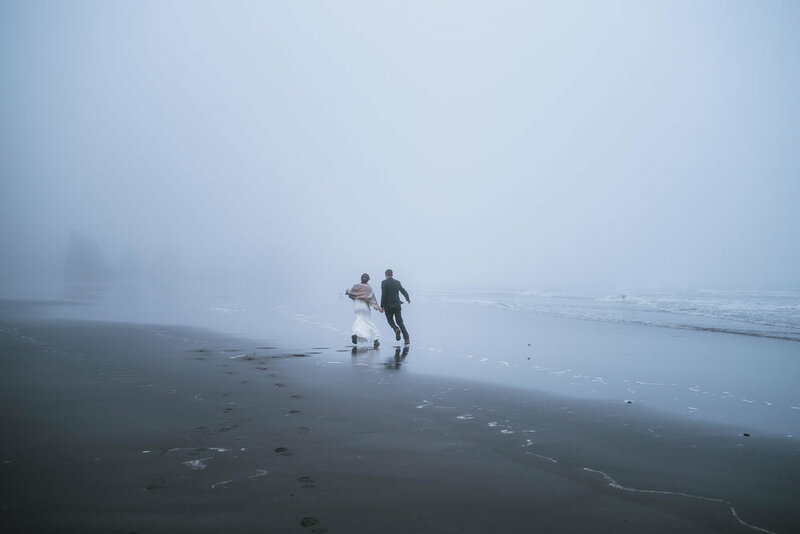 With one of the most diverse landscapes in the United States, Olympic National Park is an elopement destination second to none. With more than 70 miles of undeveloped coastline you’ll towering sea stacks carved out by relentless waves, tide pools, sandy beaches, massive pieces of driftwood and forests that come right down to the waterline. 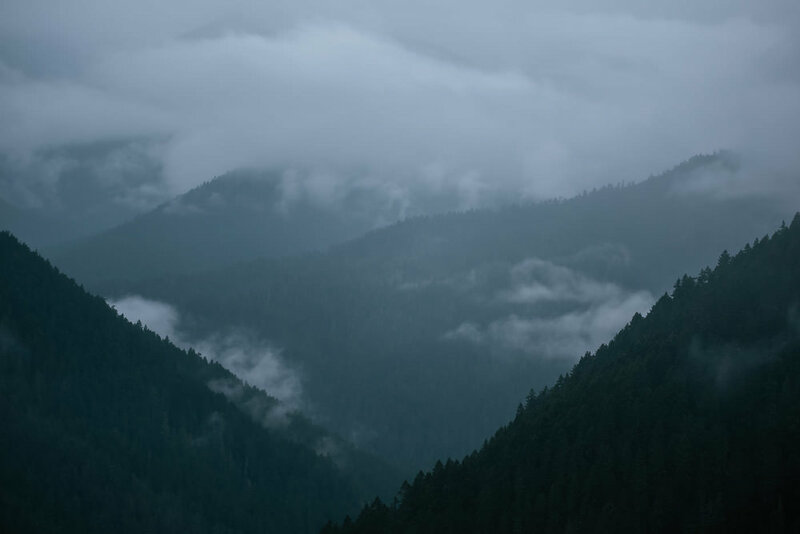 Head inland and explore quiet temperate rainforests dripping with dew and covered in ferns and moss, aqua colored rivers that wind across the landscape or hike up the glacier capped mountains. From the Hoh Rainforest to Rialto Beach there is no shortage of amazing locations on the peninsula that are ideal for creating stunning images. No matter what adventure you envision for your elopement, you’ll find the ideal setting for it in Olympic National Park. Let’s have an adventure! I absolutely adore Olympic National Park and photographing elopements there is like a dream come true for me. So to that end I’ve taken 10% off my elopement photography packages in Olympic. So find your perfect elopement package below and let’s venture into the Pacific Northwest for this next great chapter of your love story. From the foggy first light of dawn till the glorious sunset on the beach, we’ll have an adventure across the peninsula experiencing as many locations as your heart desires. All the while creating unforgettable elopement photos that do your big adventure justice. As an elopement photographer I think placinging arbitrary limits on the number of photos delivered or edited is wrong. I individually edited every photo I deliver, they should always look their best. Once done the full resolution images will be delivered to you on USB. You will receive a link to a private web gallery that is password protected, perfect for sharing with friends and family. From there you and your family are able to not only view your photos, but order a wide variety of prints and products from my favorite professional print lab as well. Prefer to do it at your own printlab of choice? Not a problem, print your images at your favorite photolab and share to your heart's content. A montage of the sweetest moments of your romantic adventure through Olympic National Park. Planning an elopement in a national park, especially if it is one you have never been to can be daunting. As an elopement photographer specializing in national parks, my goal is to make sure you have the best experience possible. From helping you with finding a ceremony location to making a schedule to get the most out of your day,. I’ll even scout out your selected locations to make sure there won’t be any surprises. Whatever you need, I’ll be there to help make your dream elopement a reality. I’m not only an elopement photographer, but an avid backpacker, hiking enthusiast, and overall outdoor enthusiast. I’ve explored Olympics popular sights, network of trails and backroads and know just where we can find that perfect spot that will make your dream elopement a reality. From picturesque locations like Sol Duc Falls to the rolling mountains of Hurricane ridge, we’ll have an unforgettable adventure and create photographs you can treasure for a lifetime. I know I do! Contact me let’s plan this next great chapter of your love story through the wilds of Olympic National Park. There’s no better place to tie the knot then the foggy, tree lined coast of Washington’s Olympic Peninsula. Come. let’s be adventurous!